David Figueroa and Diane VanDerhei, show back in the day, will return for Wild Space dance company’s 25th anniversary concert. Wild Space photo. Dancers move on, move out, grow old. As time goes on, reunion concerts get trickier for dance companies with staying power. It’s a young person’s profession. 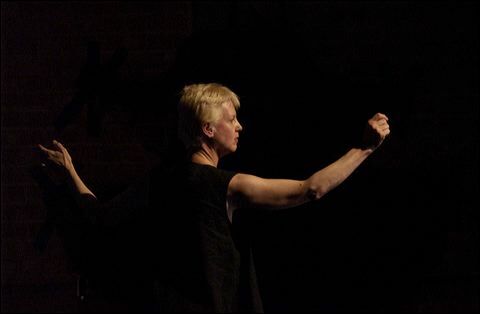 Still, Debra Loewen has brought back three original Wild Space dancers for her 25th reunion concert, set for Saturday at Turner Hall: Tom Thoreson, David Figueroa and Diane VanDerhei. “It will be a blast from the past,” Loewen said, as we watched a slideshow of photos from 25 years of Wild Space concerts on her laptop. They’ve kept themselves in shape. Thoreson is an exercise trainer in Milwaukee. Figueroa teaches yoga in New York. VanDerhei owns and operates a pair of dance studios in Chicago. Thoreson, Figueroa and VanDerhei are three alums among many returning for the concert. The prodigal will do transitional pieces between new the numbers and revivals that Loewen and and the current company have prepared. The venue, as much as the people, has played a major role in Wild Space history. Loewen’s company was among the first to put the Turner Hall Ballroom, ravaged by fires in 1933 and 1941 and shuttered for decades, to use after it was made barely habitable, in March of 2004. 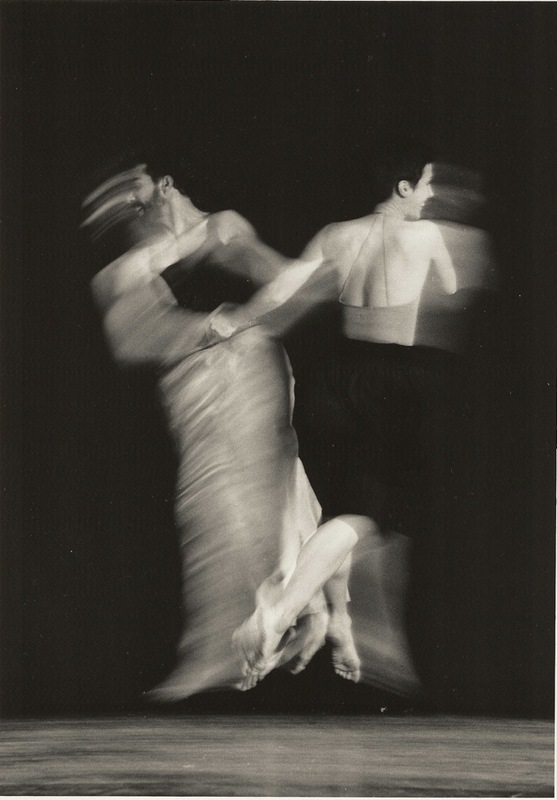 Physical Evidence, a piece about a dance marathon set in the 1930s, became a landmark of Loewen’s work. Architecture plays a role in this and many of her dances, which tend to be site-specific. One of her earliest Milwaukee dances occurred in the drained (and now gone) swimming pool at Gordon Park. Dxebra Loewen. Wild Space photo by Scott Anderson. Loewen revived Physical Evidence, which encompasses the entire Turner ballroom, twice, with great success. She would have loved to create a new work that encompasses the whole space, as Physical Evidence did. But that requires a lot of time in the building. When the place was dark night after night, as it was in 2004, that was no problem. But since the Pabst/Riverside people started managing the room, it’s become a lively, busy music venue and not so available. So this time around, for the first time, Loewen will put all the performers on the ballroom’s 57-foot raked stage. The proscenium stage will make the concert more formal, but Loewen will counter that with seating around cocktail tables. After all, she’s calling this 25th anniversary program Wild Night. Participants: Artistic Director Debra Loewen, alumni David Figueroa, Michelle DiMeo, Lauren Hafner, Jade Jablonski, Javier Marchan, Johanna Melamed, Monica Rodero, Dan Schuchart, Katie Sopoci, Tom Thoreson, Diane VanDerhei and more. Guest performers: Mrs. Fun, Dani Kuepper, Joseph Pikalek and Cassie Motta. Current company: Liz Fransee, Angela Frederick, Allison Kaminsky, Mandi Karr, Lindsey Krygowski, Molly Mingey, Laura Murphy, Kelly Radermacher, Jessie Mae Scibek and Mai-Yeng Vang-Strath. Info and Tickets: The concert begins Saturday at 8 p.m. at Turner Hall Ballroom, 1042 N. 4th St. Tickets are $20, $25 for premium reserved seating, and $15 for students/seniors. Call (414) 271-0712 or visit the online box office to order. Keep up with Wild Space and all of Milwaukee’s performing ensembles. Bookmark Matthew Reddin‘s 2012-13 Performing Arts Guide.